In the middle of the hilly landscape and the grandiose panorama’s of the Flemish Ardennes, you find the vacation house “De Rekelberg”. The house, that dates back to 1952, was enlarged and renovated in 2012. 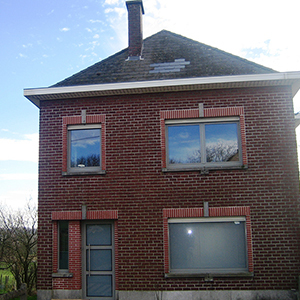 The house is situated in Brakel, just outside the village-centre of Rozebeke, along the steep street “de Rekelberg”, repeatedly one of the hills out of the “Ronde Van Vlaanderen”. Rozebeke is a quiet village of 450 residents. The village is known for its beautiful geographical position and its picturesque church. The history of the church, popularly called the “Cathedrale of the Zwalmstreek”, dates back to 1108. 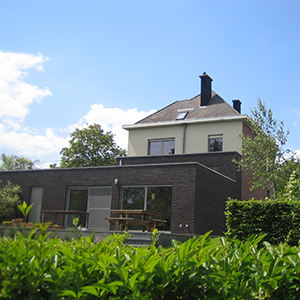 The house is an ideal starting point for superb nature walks, relaxing or challenging cycling-tours and cultural excursions to one of the beautiful towns (Ghent, Oudenaarde or Ronse) in this part of Belgium. We wish you a pleasant and comfortable stay!